Sheryl Sandberg's husband died suddenly last Friday. 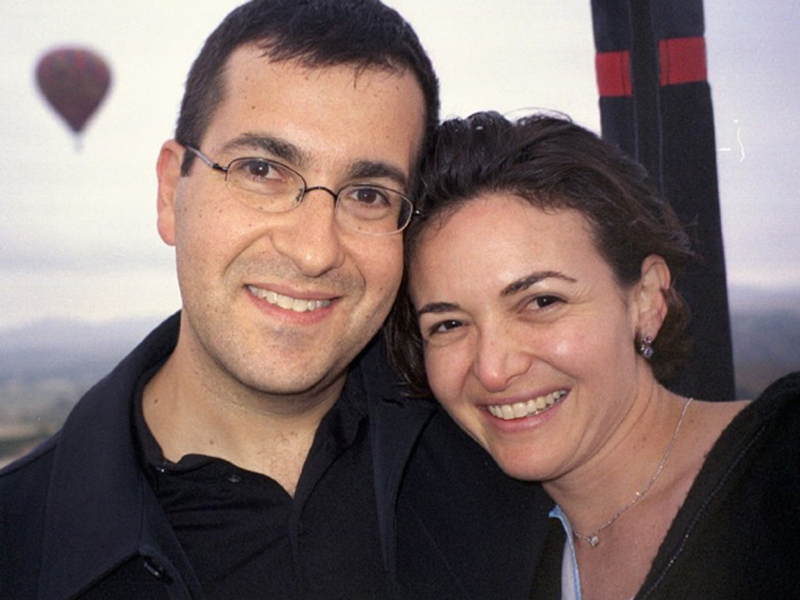 Sheryl Sandberg’s husband, Dave Goldberg, died suddenly last Friday and now the Facebook chief operating officer has spoken about the tragedy for the first time by making a moving tribute to him. The 47-year-old CEO of online polling company SurveyMonkey was exercising on a treadmill while on holiday in Mexico when he tripped and banged his head. He died later in hospital. On the day of an emotional memorial service, which was attended by hundreds of Silicon Valley executives including Facebook CEO Mark Zuckerberg, director George Lucas and actor Ben Affleck, Sheryl, the author of Lean In, posted a heartbreaking message on her Facebook page. ‘I want to thank all of our friends and family for the outpouring of love over the past few days. It has been extraordinary – and each story you have shared will help keep Dave alive in our hearts and memories. Goldberg and Sandberg married in 2004 and they have two children.